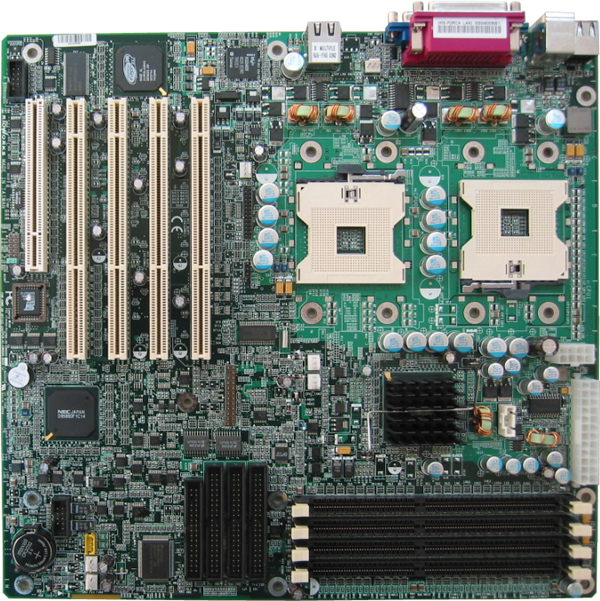 KIS-PDRCA a dual Xeon Socket-604 motherboard. With built-in the latest ServerWorks GC-SL chipset, KIS-PDRCA scales up the whole server performance by supporting dual Xeon 533 (Prestonia) CPUs, 4 PC2100 DDR memory DIMMs with ECC, 3 ATA-100 IDE connectors and 5 PCI slots. Furthermore, KIS-PDRCA also integrates 8MB ATI VGA solution, one Intel Gigabit (82540EM) Ethernet controller and provides an optimal platform for entry server environments. SSI form factor with size:12" x 11.4"